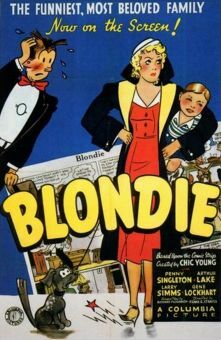 The long-running "Blondie" series was slowly heading into the homestretch when Blondie's Reward came out in 1948. 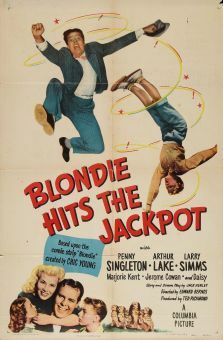 After bungling a real-estate transaction, Dagwood Bumstead (Arthur Lake) is demoted to office boy by his flustered boss Radcliffe (Jerome Cowan). 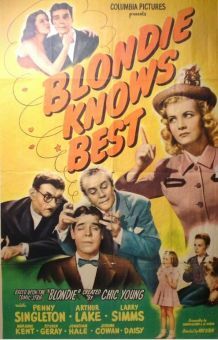 Nor does Dagwood improve the situation by getting into a fight with the son-in-law of a prospective client. 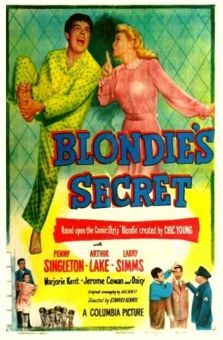 Right on cue, Dag's wife Blondie (Penny Singleton) steps in to solve everything for everyone. 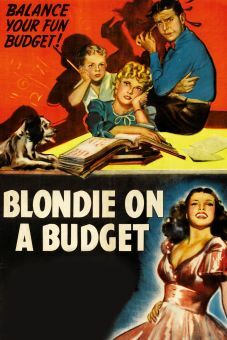 Based on the comic strip by Chic Young, Blondie's Reward was scripted by Edward Bernds, who was soon to take over as the series' principal director.